The most important detail here is “in less than five minutes.” No doubt, the moment of spiritual awakening often takes place in a split second, much like a beam of light cutting into a pitch dark room. The experience is nothing unique on its own. But not so when you consider the fact that this man had no previous understanding of Christianity. Nada. This seems to me not so uncommon a condition among Chinese Christians. One such friend announced to me over dinner not long ago that he is a Christian. Somewhat surprised, as we haven’t discussed religious issues before, I asked him how it happened. Turned out he had a discussion with another Christian friend on the existence of God. During the course of the long debate, my friend – a firm atheist – suddenly realized no logical explanation exists for the insane being of the universe other than an illogical answer of God. Since then, he called himself a Christian, even though he has not been baptized. More interestingly, as I later discovered, he does not believe in the Resurrection. Non sense, he says. What’s more, he still feels drawn to Buddhism, as many Chinese do, and thinks Buddhism is a better system of philosophy, but unfortunately, lacks theological sophistication. This view is widely shared among the better educated populace, that there is nothing wrong in being a Christian but still adhere to Buddhist principles, many of which are philosophic and secular in nature. Other than being ambiguous on the exclusivity of Christianity, many Chinese Christians seem to be nonchalant on conversion. Another friend, who is among the business elites in China, and with whom I intentionally carried our conversation over dinner to the question of religion, said he was a Christian. I like Christianity, he said, in the same manner as if saying I like chicken noodles. He continued: I used to go to a house church, and pray every night. Did that for a few years. But now, he is more into Buddhism and wants to quit the corporate world. There is no way to tell how widespread this casual in-and-out takes place, but his attitude towards Christianity is representative. Many people seem to think converting to Christianity brings them closer to Western culture, which is the de facto most advanced and most superior in the world. Christianity is perceived to be good. Islam, on the other hand, is treated with ignorance and widespread suspicion. Judaism is in somewhat better state, with complete ignorance, therefore spared from negative connotations. But the five thousand years of Chinese history, which is going through its own version of the resurrection, is equally worthy to be proud of. 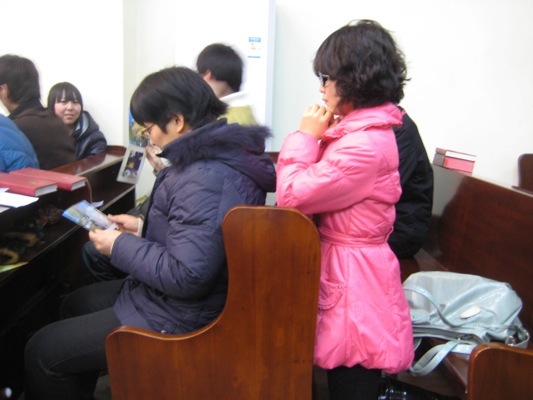 Therefore, many Chinese churches take pains to stress being a Christian does not make one less Chinese. For some shrewd Chinese though, being a Christian brings little inconvenience. limbe south west province cameroun.